Toronto, Canada — 25 October, 2012 – Canada becomes first to implement marketing designations. 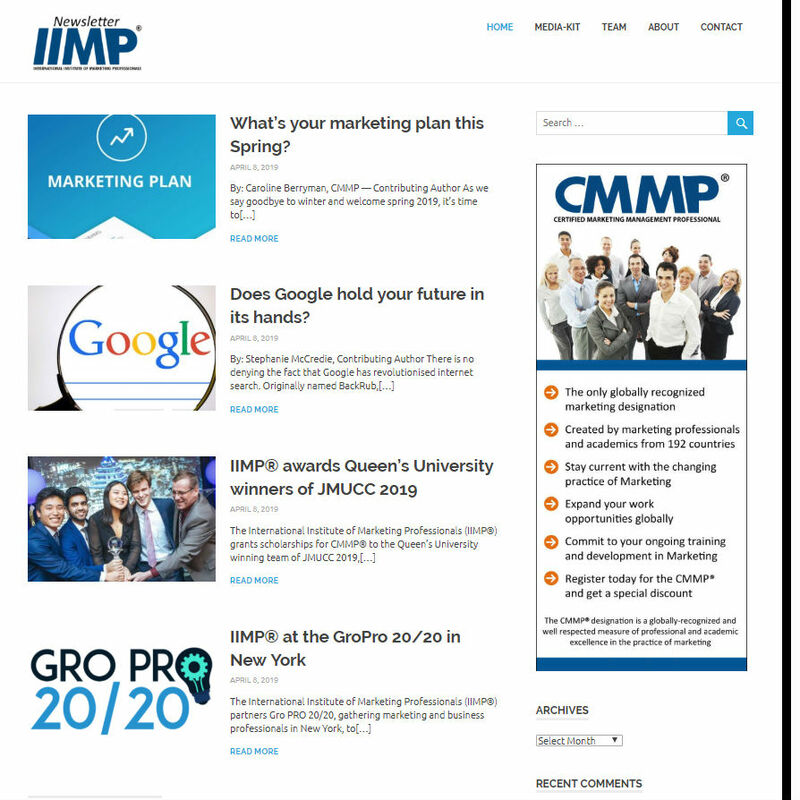 The officials at the International Institute of Marketing Professionals (IIMP®) have announced that the Certified Marketing Management Professionals (CMMP®) of Canada to establish the implementation of Internationally Accepted Marketing Standards (IAMST) and Marketing Designations in Canada. The IIMP® has been developing Internationally Accepted Marketing Standards that are of high-quality, practical, enforceable and comprehensive. The standards will implement best practices, polices and accountability in the field of marketing. They will be used to establish integrity and ethical conduct in the marketing profession by providing credibility to the marketing practices, interactions and transactions with clients within business-to-stakeholders including consumers, businesses, governments and society. The adoption IAMST will distinguish the marketing field from other disciplines and the standards will provide a framework and reference for training programs and marketing designations. 1. Internationally Accepted Marketing Standards Board (IAMSB)—The IAMSB consists of academic leaders, consultants and business professionals from G-20 countries with expertise and experience in the field of marketing. 2. International Advisory Council for the Marketing Profession (IACMP)—The IACMP consists of a broad cross-section of academic leaders, consultants and business professionals representing 192 countries with extensive experience and expertise in the marketing field. 3. Advisory Council of Marketing Practitioners (ACMP)—The ACMP consists of practitioners working within the areas of marketing at management levels. These council members contribute by providing feedback based upon their practical experiences.